Focusing on the strategic position of towns in rural development, this book explores how they act as hotspots for knowledge creation, diffusion for vital business life and innovation, and social networks and community bonds. By doing so, towns - even the smallest - can cope with processes of socio-economic decline and promote a geographically balanced income distribution and sustainable production structure. 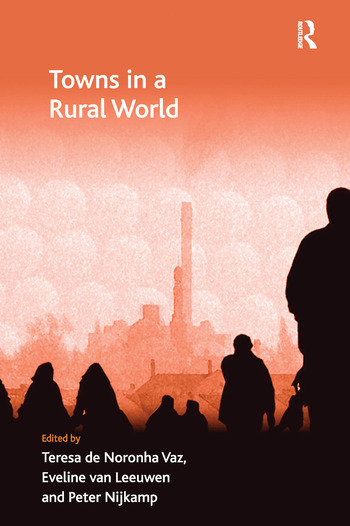 The contributors to this volume examine how to take advantage of the great potential offered by urban areas in the rural world to favour competitiveness and encourage economic activity. Taking a European perspective, the authors identify the main socio-economic advantages generated by urbanized population settlements that small and medium-sized rural towns can provide. Although much attention is currently focused on the efficient use of scarce natural resources and land, they argue that towns have an increasingly important economic and social role to play in rural areas. Teresa de Noronha Vaz is professor of Economics of Innovation at the University of Algarve, Portugal and director of the Research Centre for Spatial and Organizational Dynamics. Eveline van Leeuwen is an assistant professor in Regional Economics at the Department of Spatial Economics of the VU University Amsterdam. Peter Nijkamp is professor in regional and urban economics and in economic geography at the VU University, Amsterdam.